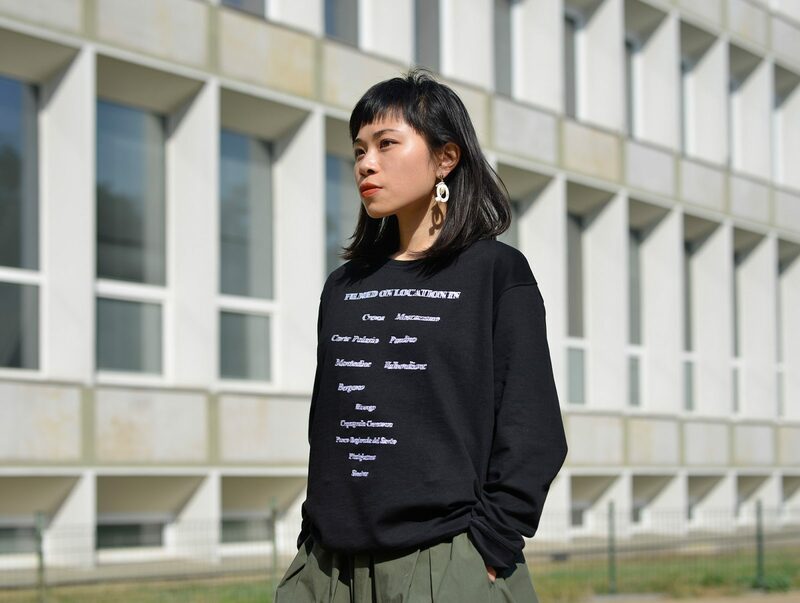 Zbigniew Rogalski’s cooperation with the Bytom brand has resulted in a limited edition of sweatshirts with embroidery inspired by the artist’s work Tears (see link below). It is a blurred fragment from the closing credits of the film Call Me by Your Name. A few of these exceptional shirts are available at the gallery for PLN 300. 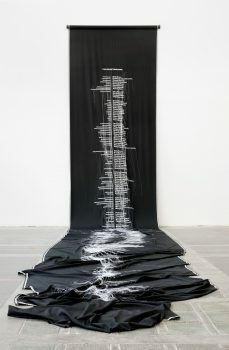 The piece was created in col­laboration with Bytom label who sup­plied the flowing band of wool­len black fabric and produced the embroidery. It refers to the cinema screen and its rol­ling credits, as seen through eyes glassy with emotion.